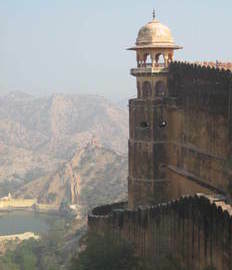 This is a really massive and incredibly imposing fort that looks down over the city of Jaipur from it's hill top location. You have to get a rickshaw or some friendly local to take you up there or you can walk up, a 40 minute steep walk from the city, not nice. Top tip, take some beers up and watch the sunset over the city. It's really high with a great view! Top tip 2, if you have an admission ticket to the city palace you can use it to enter the fort within two days of purchase. Otherwise it's about 50 Rupees or something. Be careful using your camera as well as they don't like it and some people get fined. 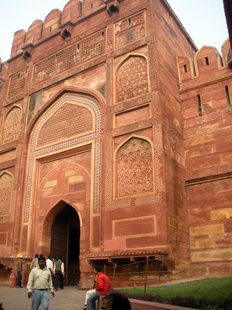 About 11 Km outside of the city is the Amber fort which is an amazing but of architecture. The fort which has been around for over 7 centuries is amazingly well preserved, there is a museum loaded with old weapons and things. 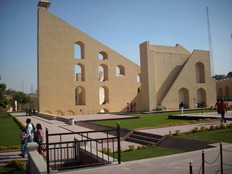 Within the fort complex are several temples and some beautiful artwork and architecture. I can't remember much but it is not much to get in, you do have to pay to take pictures though and it's slightly more for a camcorder. It's defintely worth a visit. Right in the heart of the old city is the City Palace which is a huge complex made up by a series of courtyards and beautifully decorated halls. The city palace compound houses many different structures most notably the Mubarak Mahal which has a large museum displaying all manor of Mughal and Rajasthani artifacts including a very fine weapons collection, rare manuscripts, Fine carpets and old costumes. 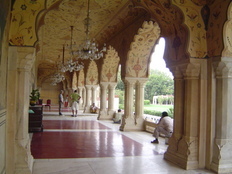 The palace is open from 9:30 A.M.- 5:30 P.M everyday. 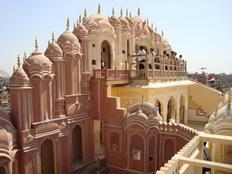 The Hawa Mahal translates as "Palace of Winds" despite the fact that is not actually a palace it is one of the most beautiful things to see in Jaipur. 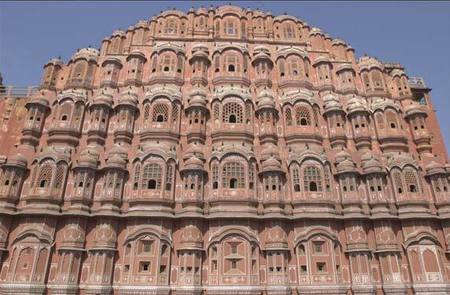 The Hawa Mahal is simply a big sandstone screen with a 593 beautifully carved windows which were used by wealthy and royal woman to watch things taking place on the road below without being seen . 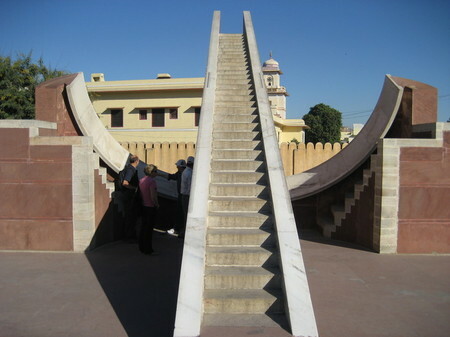 The Jantar Mantar is a very lovely observatory, built in 1718 by king Sawai Jai Singh who was the main founder of the city. Beautifully built in stone and marble it is a monument to the kings curiosity and scientific embraces. There are loads of fascinating, scientifically designed instruments for studying the stars. Definitely one of the most worthwhile things to see in Jaipur. Originally built as a 'Famine relief center, Ram Niwas Bagh is a small complex of gardens and cleverly designed spaces including a small zoo, an Aviary, Herbarium, museum, Greenhouse and sports ground. A great way spend an afternoon and get away from noise and pollution of the city. Jaipur is steeped in History and mystery and to match it has what seems like millions of things to go and see but after a while it can all start to look the same. If you are however a b it keen then take a look at some of these places.